He found the Big Sur jade pieces in Big Sur, California. 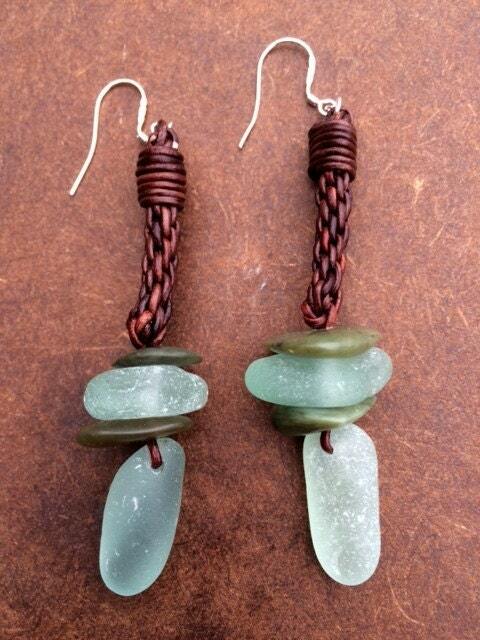 These are his very first, leather braided, sea glass and jade earrings. 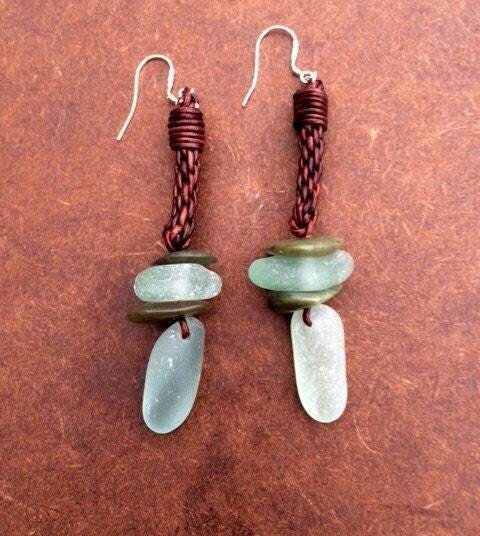 The stunning jade and aqua sea glass that pair so prettily together. 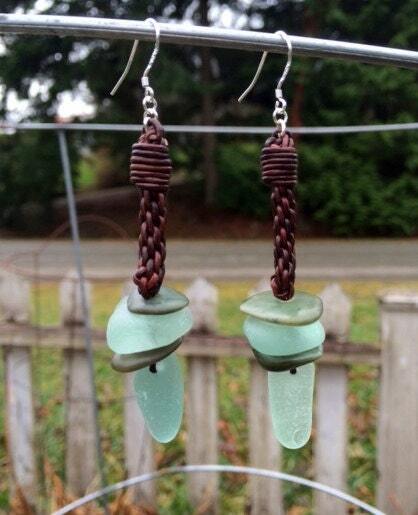 These awesome earrings are about 2 1/2" long and are very lightweight. A truly unique pair of earrings that will be an amazing addition to your jewelry box or a superb gift to someone special.